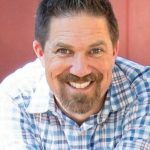 Founder and principal of full service marketing agency Half a Bubble Out Michael Redman uses a 360-degree approach to help clients build scalable and sustainable businesses. Michael Redman is the founder and principal of a full-service marketing agency that uses a powerful combination of data-driven research and marketing and advertising to create marketing plans, strategies, and campaigns to help clients reach their customers with consistent, relevant messaging. A dedicated storyteller and self-proclaimed “super-learner,” Michael pulls from disparate fields to develop ways to help his clients to succeed. Michael and his wife and co-founder, Kathryn, draw upon their past experiences in ministry, sales, and instructional design to bring a unique approach to marketing, one that blends hard data with personal connection and communication. Whether it’s helping a client explore new markets, design and implement a print and online advertising campaign, or create a high-converting website, Michael and his team dig deep to create a concrete, accurate view of the business and market. Then they create a clear strategy that matches the business’s goals and customer needs — based on data generated by the ASK Method®. “The ASK Method® is a tool that speaks to everything else we’re doing for our clients and helps us be more effective in delivering products and services,” says Michael. His agency’s high retention rates speak to his success; many of his clients have been with Half a Bubble Out for a decade or more. Michael’s ultimate aim is to help business professionals make their companies better by looking at the intersection of their people, their systems, and their personal leadership. “We care about business, but we care about people too,” he says. When you work to improve all areas of an organization, the result is solid, sustainable growth. By using a holistic approach to business and marketing, Michael and his team are able to generate exceptional results for their clients. While the client may think they need “just” a brochure or a new website, Michael helps them take a wider view. “We can help them think through their business at a high level, and then help them apply it at a practical level,” he says. The Half a Bubble Out superpower is to use the ASK Method® to ask the right questions to diagnose a client’s strategic position, opportunities, and roadblocks. And because their approach is based on a specific methodology to generate actionable data, clients have the utmost confidence in implementing the recommended strategies. After working with Michael and his team, it’s not unusual for business owners discover untapped opportunities in new markets that they didn’t even know existed — or to realize how little they had known about their existing customer base and their motivations and needs. By uncovering those gaps and replacing guesswork with the certainty and clarity generated by the ASK Method® methodology, Michael can then create marketing and advertising strategies to better serve the existing market, or to help the business expand into new areas. “We help our clients discover what’s going to be significant in their marketing, in their product service, and help them move to the next level,” he says. And by assisting them in creating strong systems and infrastructures, Michael also prepares them for the growth to come. “We say we want to help you with the actual technical stuff of marketing and messaging, telling your story, understanding the infrastructure on how to build it and build the systems, but also we want to make sure that you have a knowledge and an understanding so that as things grow, you’re becoming more effective in handling it,” he explains. If your business is looking for someone who understands business leadership, management, and marketing, who can interpret data with a humanistic lens, and who can design the big picture strategy while paying attention to the details of implementation, reach out to Michael and his team. Work with Michael Redman ?